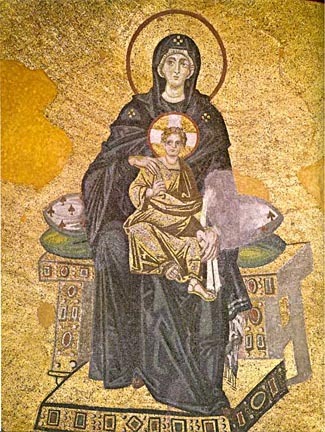 The author also asserts: “The essential issue in the whole question of the sinlessness of the Mother of God must be the preservation of the uniqueness of Christ’s sinlessness. 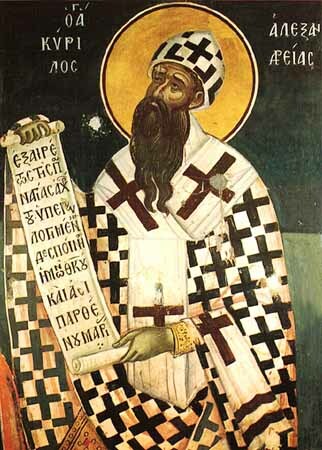 Christ’s salvific work would be debased or even nullified if we were to accept that someone else also fulfills the conditions of His sinlessness; if we were to accept, that is, that the Ever-Virgin was free born free from original sin… the secondary issue here is the determination of the exact moment at which divine grace began to act upon the Holy Virgin so as to cleanse and strengthen her, and it is largely on this point that Cabasilas presents a somewhat peculiar line of thought. And while some of his phrases and certain shifts of emphasis could be construed as resembling the opinions of the thirteenth century Scholastics, and even, at times, as diverging from Cabasilas’ immediate predecessors, such a view would not take into account sufficiently the fact his theological presuppositions belong to a fundamentally different world. 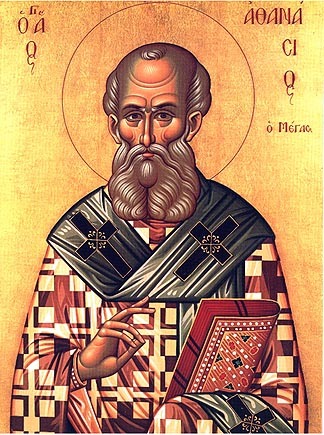 Indeed, the diversity of opinion in the Patristic tradition is not necessarily mutually exclusive on the question of the Holy Virgin’s sinlessness and purity, as the work of Cabasilas’ contemporary, St. Gregory Palamas, clearly shows, with whom Cabasilas has much in common.” And in closing, Veniamin succinctly concludes, “It has been suggested that Cabasilas ‘overemphasizes’ and ‘over-extols’ the Mother of God, so as to result in a general exaltation of her person and the role she played in our salvation. 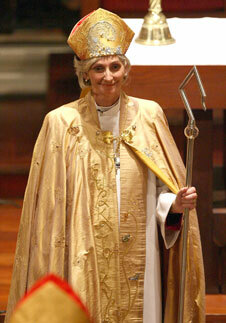 But surely, this is nothing more than the effusion of Cabasilas’ profound veneration of the Most Holy Mother of God. 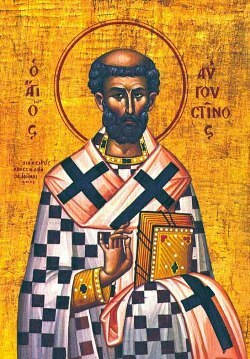 What is certainly beyond dispute, however, is the fact that nowhere in the theology of St. Nicholas Cabasilas is the immaculate conception accepted, mentioned or inferred.” (The Orthodox Understanding of Salvation: “Theosis” in Scripture and Tradition, pp. 52, 58-59). 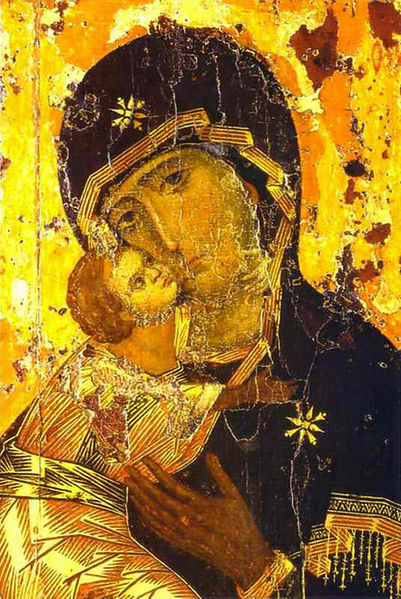 Veniamin’s testimony is particularly weighty since he is the translator and editor of the English translation of the homilies on Mary the Mother of God by St. Gregory Palamas. 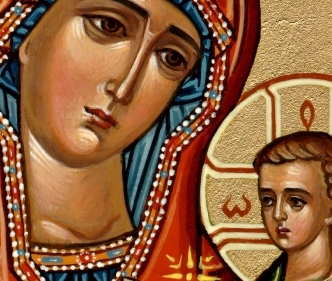 The teaching of the complete sinlessness of the Mother of God does not correspond to Sacred Scripture, where there is repeatedly mentioned the sinlessness of the “One Mediator between God and man, the man Jesus Christ (I Tim. 2:5); “and in Him is no sin’.” (I John 3:5);, “Who did no sin, neither was guile found in His mouth.” (I Peter 2:22);. “One that hath been in all points tempted like as we are, yet without sin” (Heb. 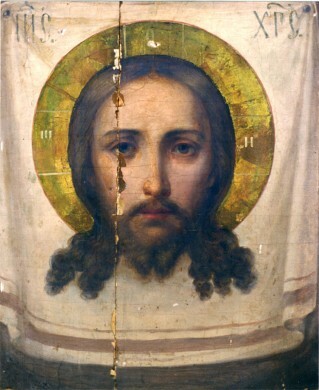 4:15); “Him Who knew no sin, He made to be sin on our behalf” (II Cor. 5:21). But concerning the rest of men it is said, Who is pure of defilement? No one who has lived a single day of his life on earth (Job 14:4). God commendeth His own love toward us in that, while we were yet sinners, Christ died for us If, while we were enemies, we were reconciled to God through the death of His Son, much more, being reconciled, shall we be saved by His life (Rom. 5:8-10). 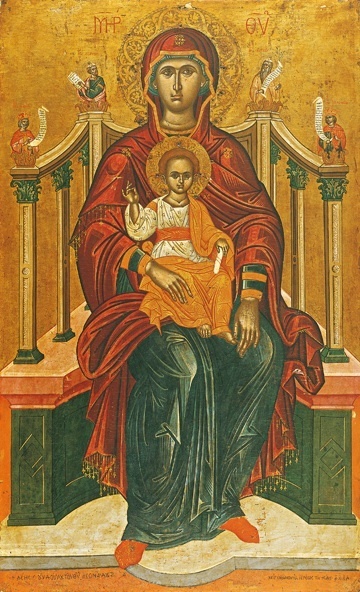 Though they call the Mother of our Lord blessed, and magnify the Grace of God which so highly exalted her; yet are they afraid of giving the glory of God to a creature, or to run into any extreme by blessing and magnifying her: and do hence rather choose to bless and magnify God for the high grace and honor conferred upon her, and for the benefit which we receive by that means. As her giving birth was without corruption, so her death also took place without corruption. 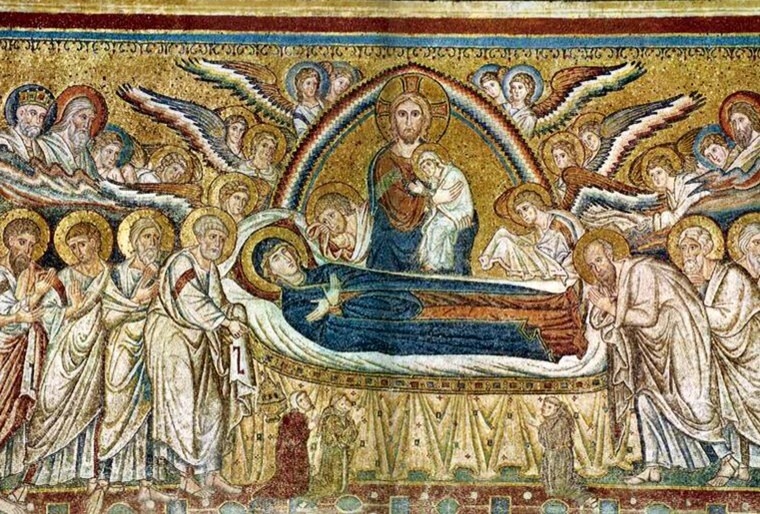 As her giving birth was beyond words and nature, so her Dormition took place in a manner beyond the temporal and natural order. 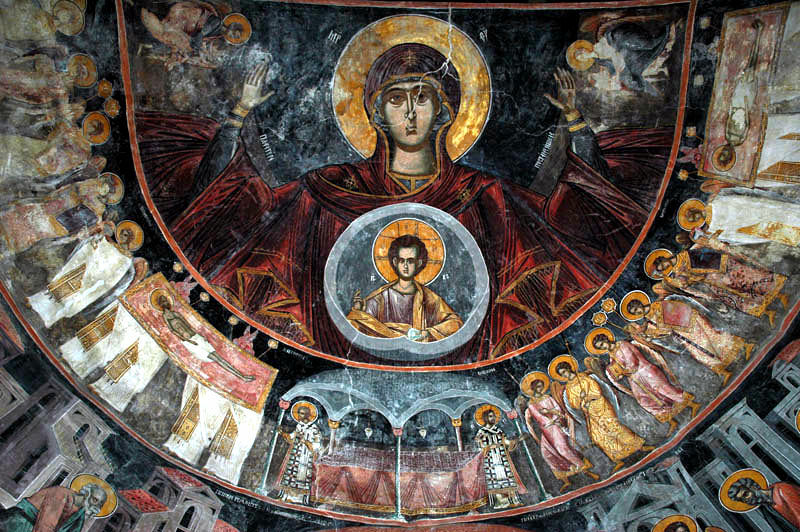 And she was wondrous, because as her soul ascended to heaven without her body, so her body also without her soul, so that she showed to her Son and His servants both communion and separation. 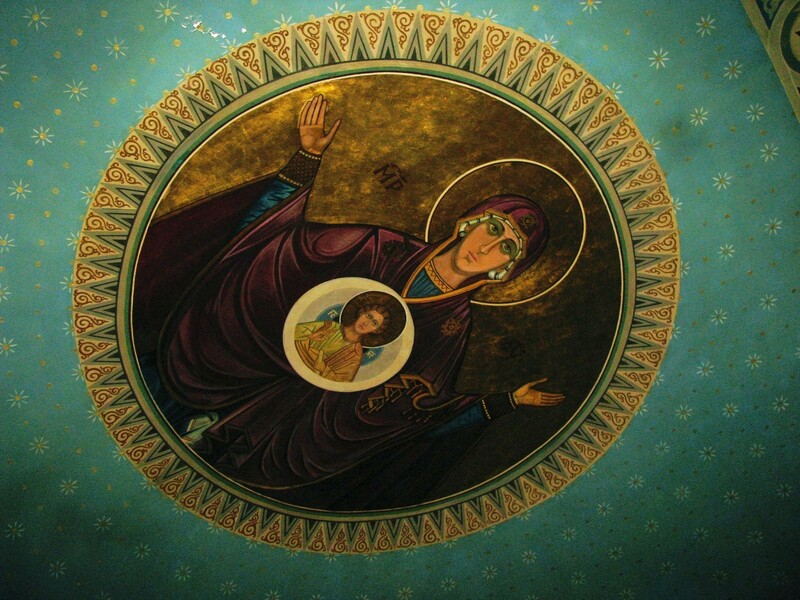 She ascended to Heaven by the grace and assistance of her Son before the general resurrection to draw our attention to the coming resurrection. 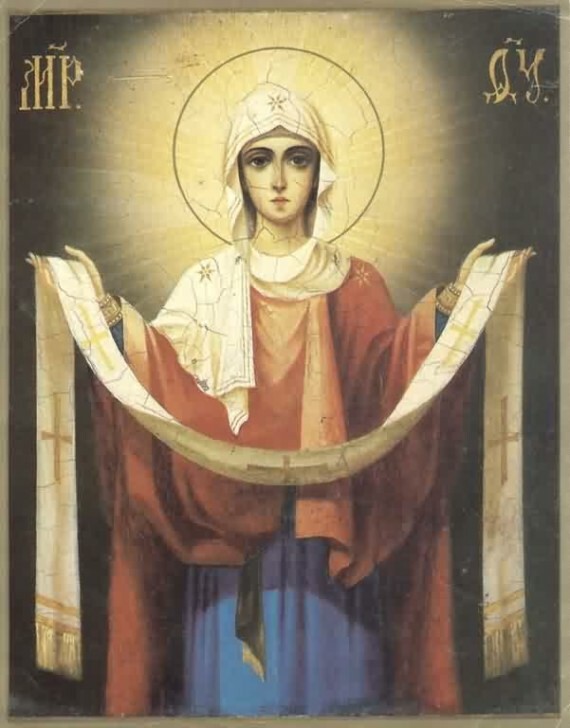 She was assumed completely, but first her holy soul separately, when she gave it over to the Lord, and then the immaculate body, as the Lord willed. 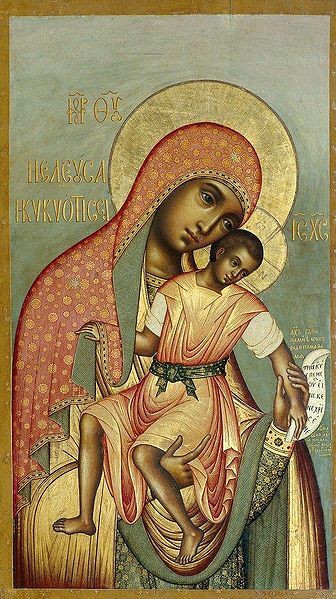 Thus we confess the human beauty that the desirable one possessed, and the glorious grace with which her Son glorified her. 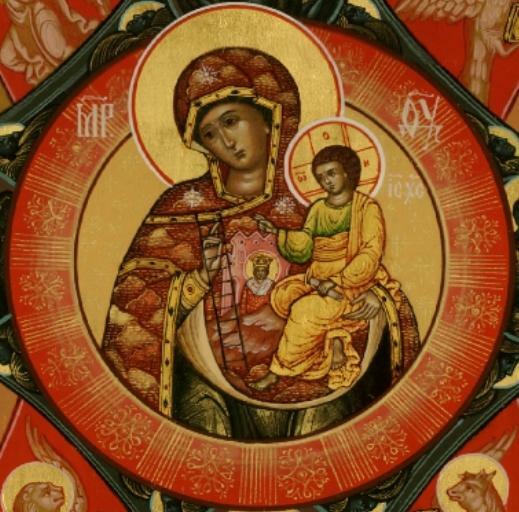 So this feast is revered and wonderful in every way, revered by angels and human beings and adorned by the grace of the Holy Theotokos. And the time of this glorious feast also is good and blessed, full of all fruit: the harvest is complete, the vintage is matured, the fruits of the trees and every sort of produce are spread forth. And this honor is a also a glorification of our nature by the Creator and a remembrance of the delights of Paradise, and all this is given for the honor of the holy feast and for the delight of those who glorify her. And this time of the year is good and beneficial for humankind and full of benefits and delights. 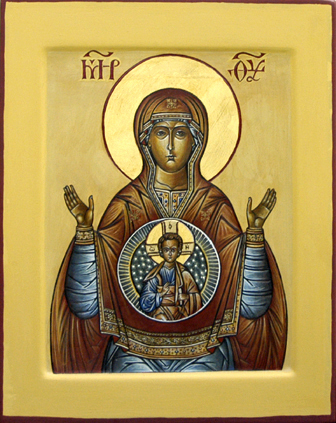 O most holy Mother of God, after heaven and earth were honored by your presence, how is it possible to accept your departure has left men deprived of your protection? Let it never occur to us to think in this way. For just as you, when living in this world, never felt estranged from a heavenly life, even so, after your departure, you are not spiritually separated from the [earthly] existence of men. 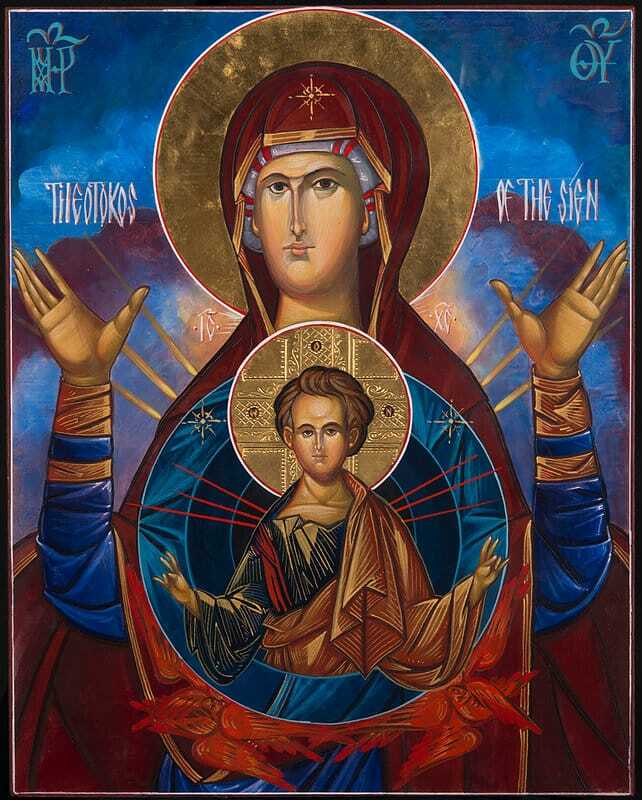 If, on the one hand, you were consecrated as the heavenly tabernacle of God , because you held the Son of the Most High within you, your womb being capable of carrying His weight; on the other hand, you have been called the spiritual earth, because you received His body within you. 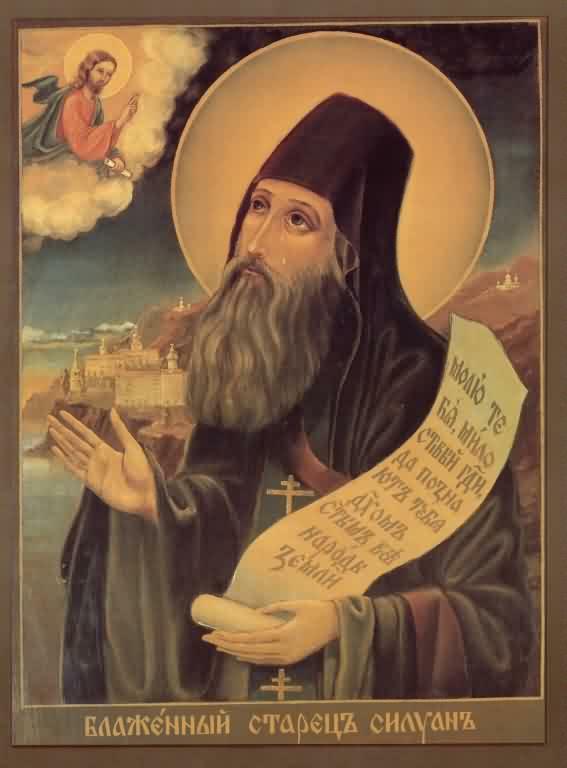 Thus it is right to think that, since you were intimately united with God during all of your earthly sojourn, you never abandoned those who continue to live in this world, when you left this world’s life. 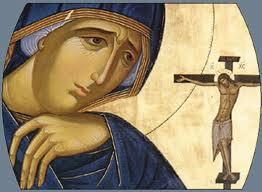 Mary, the mother of the Lord stood by her Son’s Cross; no one has taught me this but the holy Evangelist St. John. Jn. 19:25 Others have related how the earth was shaken at the Lord’s passion, the sky was covered with darkness, the sun withdrew itself; Mat.27:45 that the thief was after a faithful confession received into paradise. Lk. 23:43 John tells us what the others have not told, how the Lord fixed on the Cross called to His mother, esteeming it of more worth that, victorious over His sufferings, He rendered her the offices of piety, than that He gave her a heavenly kingdom. For if it be according to religion to grant pardon to the thief, it is a mark of much greater piety that a mother is honoured with such affection by her Son. 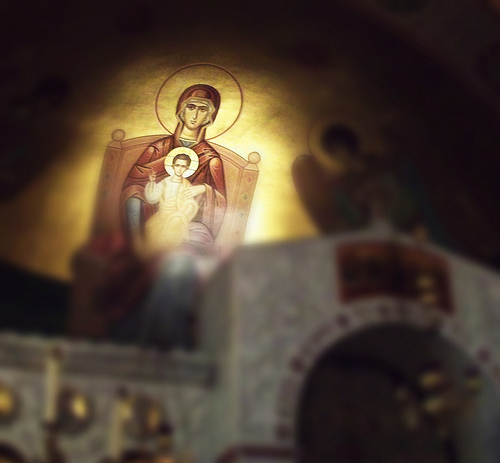 Behold, He says, your Son… … Behold your mother. Jn. 19:27 Christ testified from the Cross, and divided the offices of piety between the mother and the disciple. The Lord made not only a public but also a private testament, and John signed this testament of His, a witness worthy of so great a Testator. 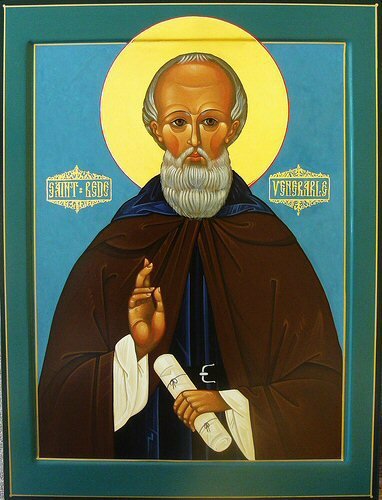 A good testament not of money but of eternal life, which was written not with ink but with the Spirit of the living God, Who says: My tongue is the pen of a quickly writing scribe. 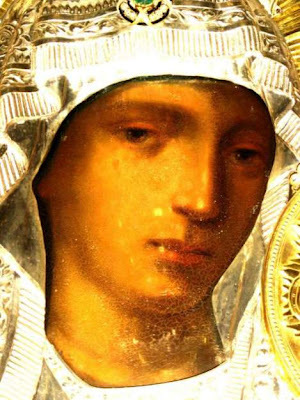 O noble Virgin, truly you are greater than any other greatness. For who is your equal in greatness, O dwelling place of God the Word? 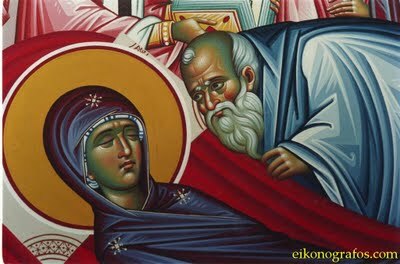 To whom among all creatures shall I compare you, O Virgin? You are greater than them all. O [Ark of the New] Covenant, clothed with purity instead of gold! You are the Ark in which is found the golden vessel containing the true manna, that is, the flesh in which divinity resides. Should I compare you to the fertile earth and its fruits? You surpass them, for it is written: “The earth is my foostool” (Isa. 66:1). But you carry within you the feet, the head, and the entire body of the perfect God. If I say that heaven is exalted, yet it does not equal you, for it is wrriten: “Heaven is My throne” (Isa. 66:1), while you are God’s place of repose. If I say that the angels and archangels are great — but you are greater than them all, for the angels and the archangels serve with trembling the One Who dwells in your womb, and they dare not speak in His presence, while you speak to Him freely. 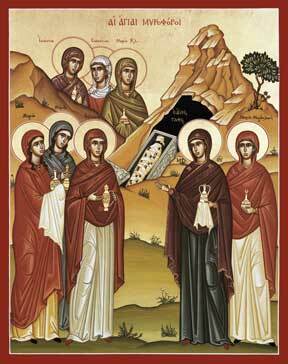 As for Eve, she is the mother of the dead, “for in Adam all die, even so in Christ all shall be made alive” (1 Cor. 15:22). Eve took [fruit] from the tree and made her husband eat of it along with her. And so they ate of that tree of which God had told them: “The day you eat of it, you shall die” (Gen. 2:17). Eve took [fruit] from it, ate some of it, and gave some to her husband [that he might eat] with her, He ate of it, and he died. 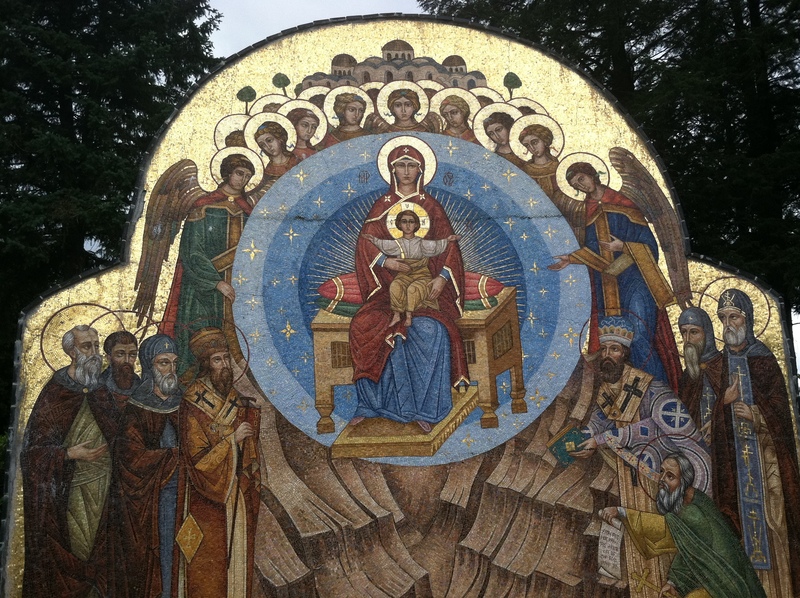 I see the assembly of the saints, all zealously gathered together, invited by the holy Mother of God, Mary, Ever-Virgin. 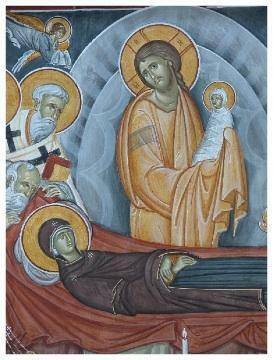 I was feeling very sad, but then the presence of the holy Fathers changed this sorrow into merriment. Now the sweet words of the hymnographer David have been fulfilled in our presence: “Behold how fair, and how pleasant it is, when brothers dwell together as one!” (Ps. 133:1). 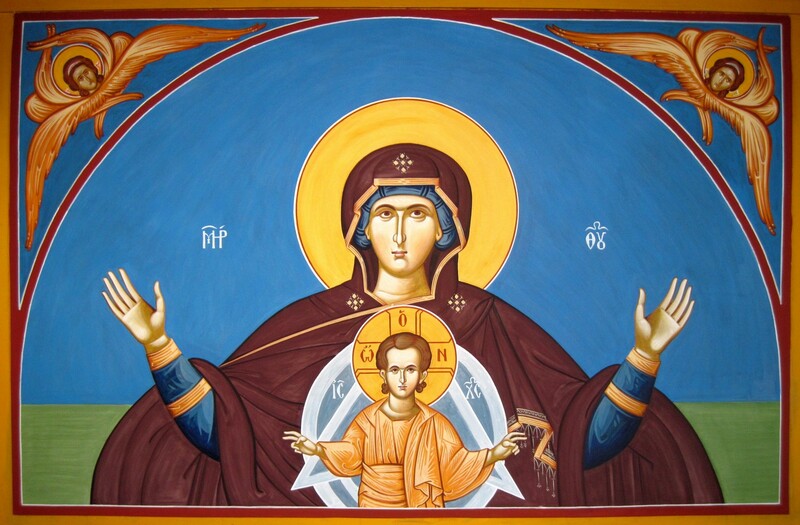 Hail, we say, O holy and mystic Trinity, Who have called us together in the church dedicated to Mary, Mother of God. 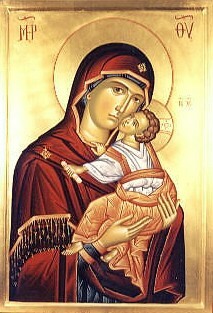 We hail you, O Mary Mother of God, venerable treasure of the entire world, inextinguishable lamp, crown of virginity, scepter of orthodoxy, imperishable lamp, container of Him Who cannot be contained, Mother and Virgin, through whom it is said in the holy Gospels: “Blessed is He Who comes in the name of the Lord” (Mt. 21:9). 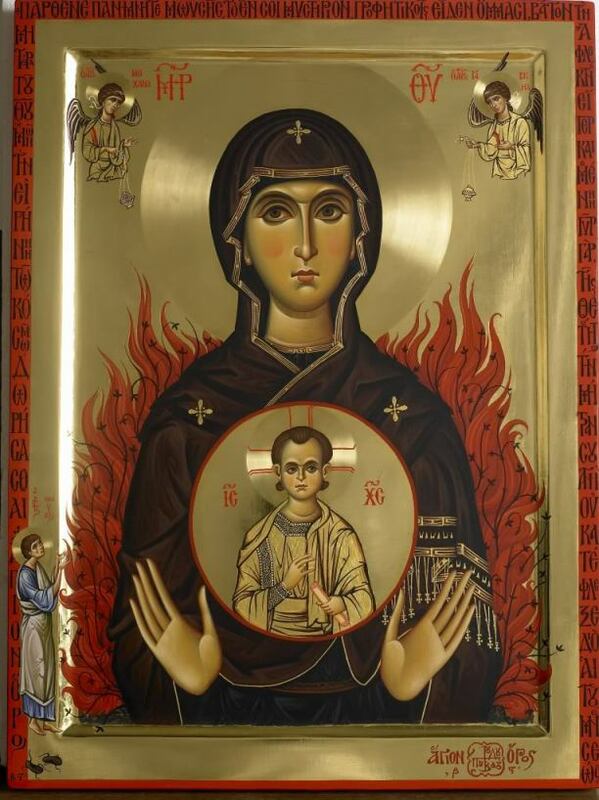 Hail, you who held the Uncontainable One in your holy and virginal womb! 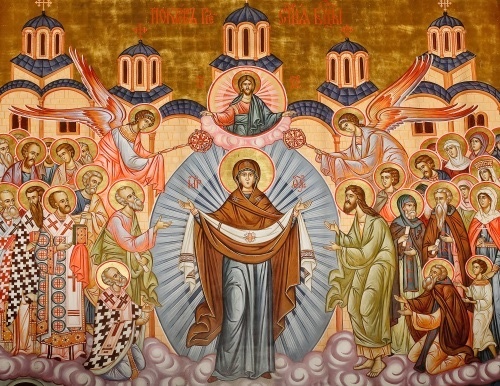 Through you, the Holy Trinity is glorified; the precious Cross is celebrated and adored throughout the world; heaven exults, the angels and archangels rejoice, the demons are put to flight, the tempter falls from heaven, the fallen creation is brought back to Paradise, all creatures trapped in idolatry come to know of the truth. Through you, holy baptism and the oil of gladness are administered to believers; through you, churches are established throughout the world; the peoples are led to conversion. What more shall I say? Through you, the Only Begotten Son of God shone forth as a light upon those who sat in darkness and in the shadow of death. 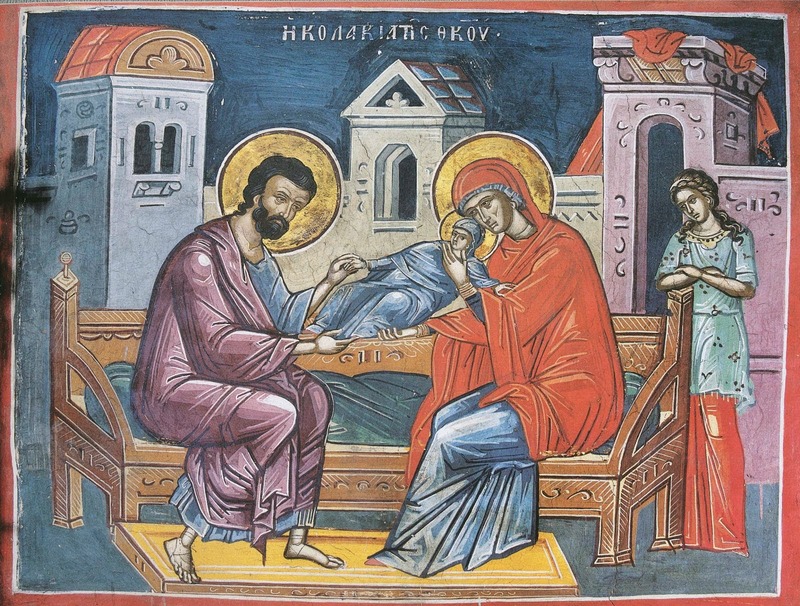 Through you, the Prophets made their predictions, and the Apostles preached salvation to the nations; through you the dead rise, sovereigns reign, and through you the Holy Trinity reigns. 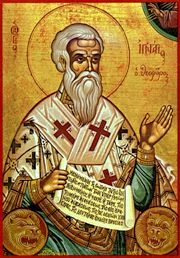 During the time that the heresy of Sabellius and Paul of Samosata began to spread, St Gregory the Wonderworker (ca. 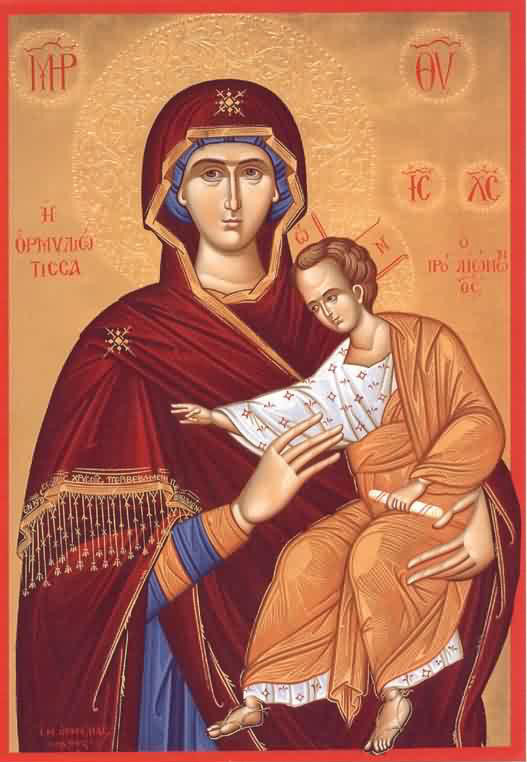 213-270 a.d.) prayed fervently and diligently imploring God and His most pure Mother to reveal to him the true Faith. 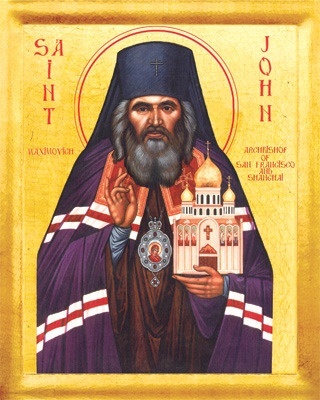 The All-Holy Virgin Mary appeared to him, radiant like the sun, and with Her was the Apostle John the Theologian dressed in archepiscopal vestments. 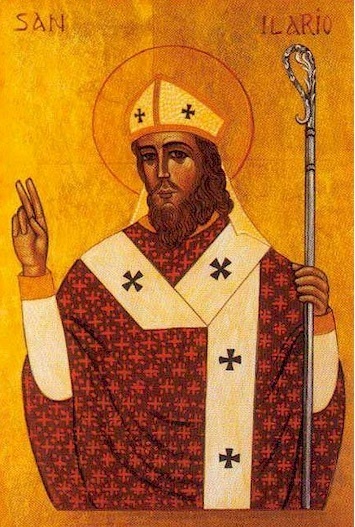 While [Gregory] was passing a sleepless night because of these worries, someone appeared to him in human form, aged in appearance, clothed in garments denoting a sacred dignity, with a face characterized by a sense of grace and virtue. Gregory, looking frightened, rose from his bed and asked him who he was and why he had come. Jer. 3:15-16 And I will give you shepherds after My heart, and they shall certainly tend you with knowledge. 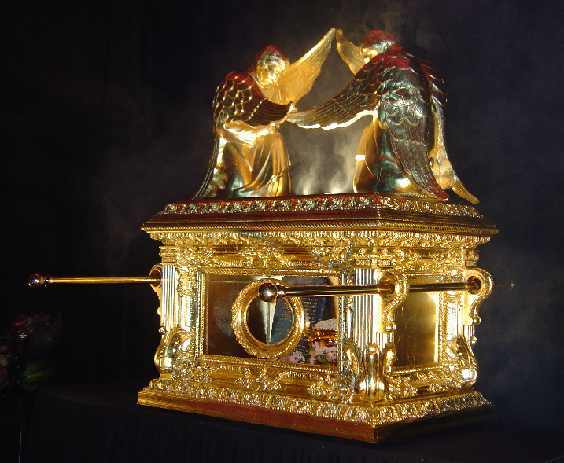 And it shall come to pass that when you are multiplied and increased upon the land, says the Lord, in those days they shall say no more, The ark of the Covenant of the Holy One of Israel. It shall not come to mind; it shall not be named; neither shall it be visited; nor shall this be done anymore. 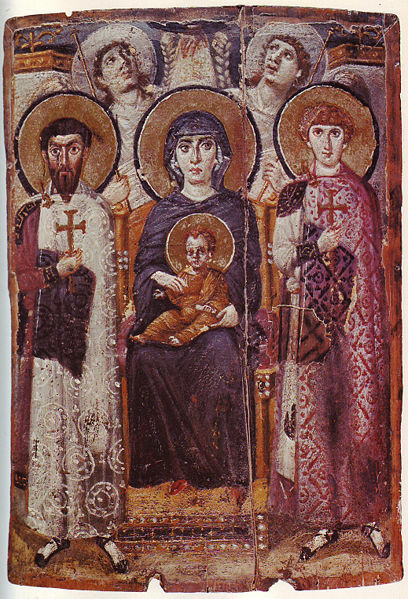 Papias of Hieropolis ca. early 2nd cent. Lk. 1:52. He hath put down riders from their thrones, and exalted the humble. Great used to he the haughtiness of these demons whom He scattered, and of the devil, and of the Greek sages, as I said, and of the Pharisees and Scribes. But He put them down, and exalted those who had humbled themselves under their mighty hand, “having given them authority to tread upon serpents and scorpions, and upon all the power of the enemy:” and made the plots against us of these haughty-minded beings of none effect. 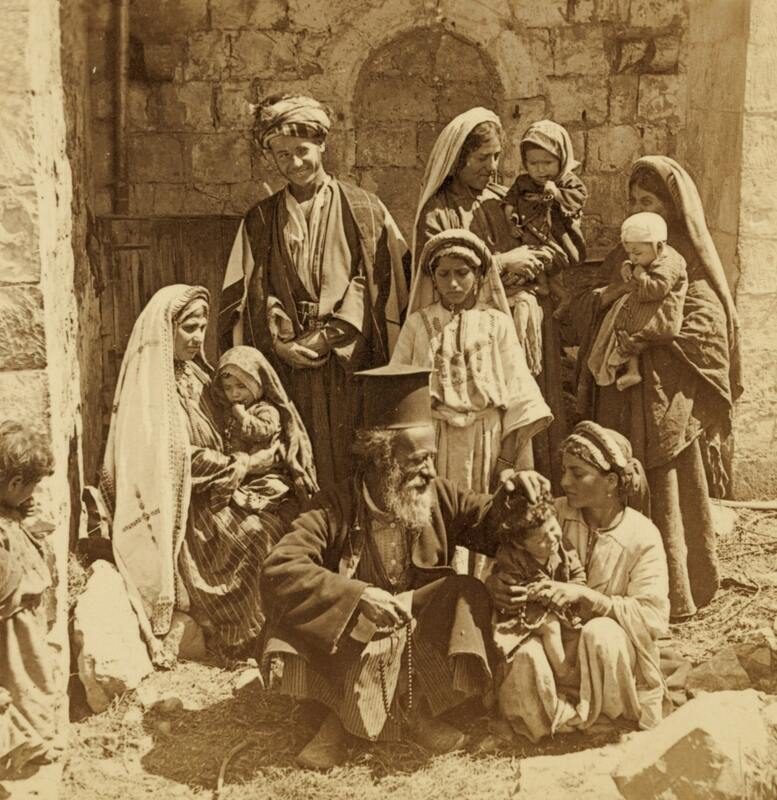 The Jews, moreover, once gloried in their empire, but were stripped of it for their unbelief; whereas the Gentiles. who were obscure and of no note, were for their faith’s sake exalted. Lk. 1:53 He hath filled the hungry with good things, and the rich He hath sent empty away. By the hungry, she means the human race: for, excepting the Jews only, they were pining with famine. 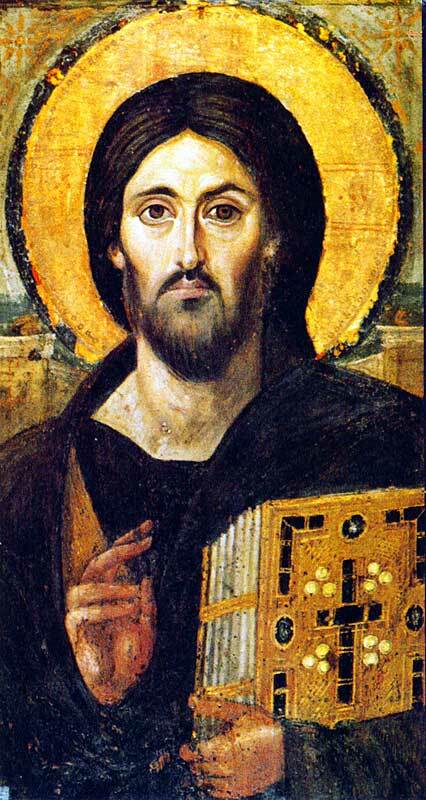 The Jews, however, were enriched by the giving of the law, and by the teaching of the holy prophets. 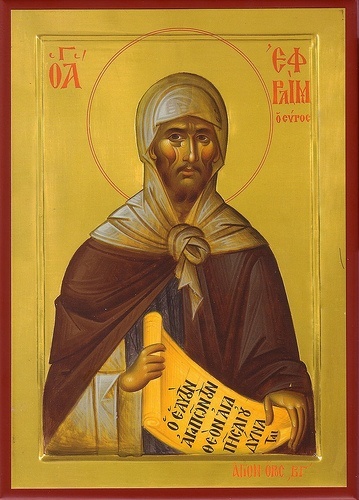 For “to them belonged the giving of the law, the adoption of sons, the worship, the promises.” But they became wanton with high feeding, and too elate at their dignity; and having refused to draw near humbly to the Incarnate One, they were sent empty away, carrying nothing with them, neither faith nor knowledge, nor the hope of blessings. 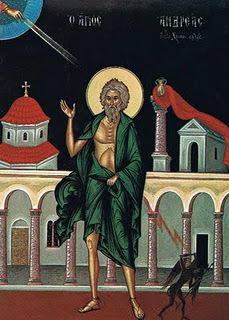 For verily they became both outcasts from the earthly Jerusalem, and aliens from the glorious life that is to be revealed, because they received not the Prince of Life, but even crucified the Lord of Glory, and abandoned the fountain of living water, and set at nought the bread that came down from heaven. And for this reason there came upon them a famine severer than any other, and a thirst more bitter than every thirst: for it was not a famine of the material bread, nor a thirst of water, “but a famine of hearing the Word of the Lord.” But the heathen, who were hungering and athirst, and with their soul wasted away with misery, were filled with spiritual blessings, because they received the Lord. For the privileges of the Jews passed over unto them. Lk. 1:54. He hath taken hold of Israel His child to remember mercy. 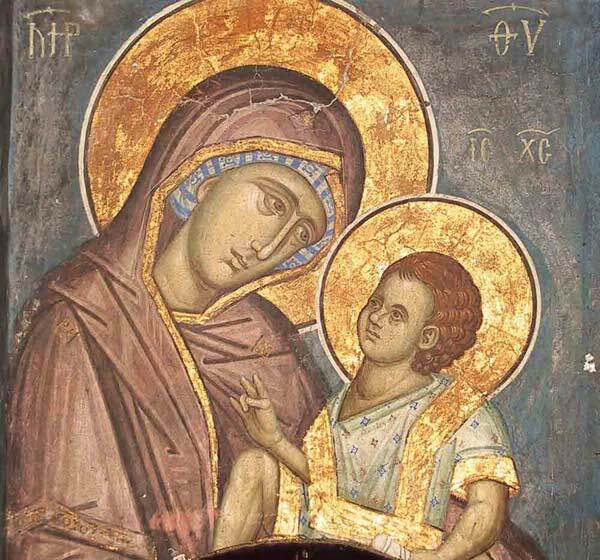 Let not any be troubled, hearing the holy Virgin called Mother of God, nor let them fill their souls with Jewish unbelief, yea rather with Gentile impiety. 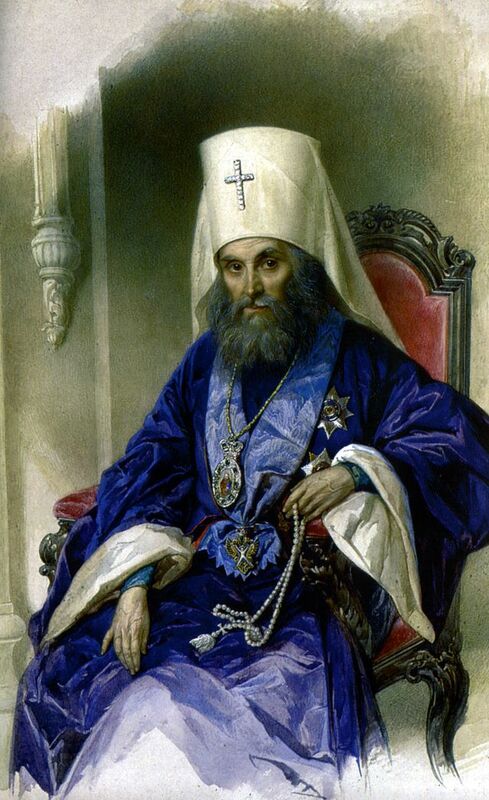 For the Jews attacked Christ saying, For a good work we stone Thee not but for blasphemy because Thou, being a Man, makest Thyself God: and the children of the Greeks, hearing the doctrines of the Church that God hath been born of a woman, laugh. 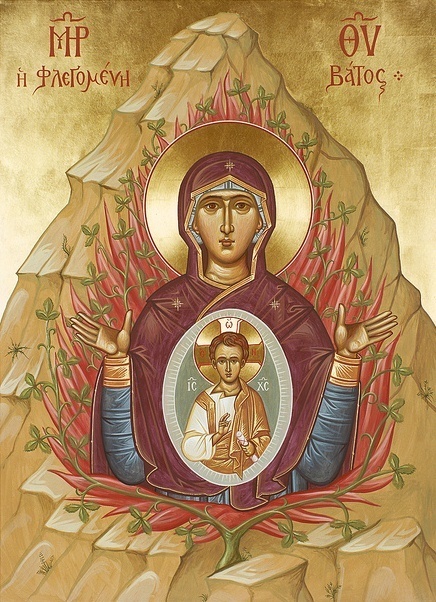 The Holy Virgin is herself both an honourable temple of God and a shrine made pure, and a golden altar of whole burnt offerings. 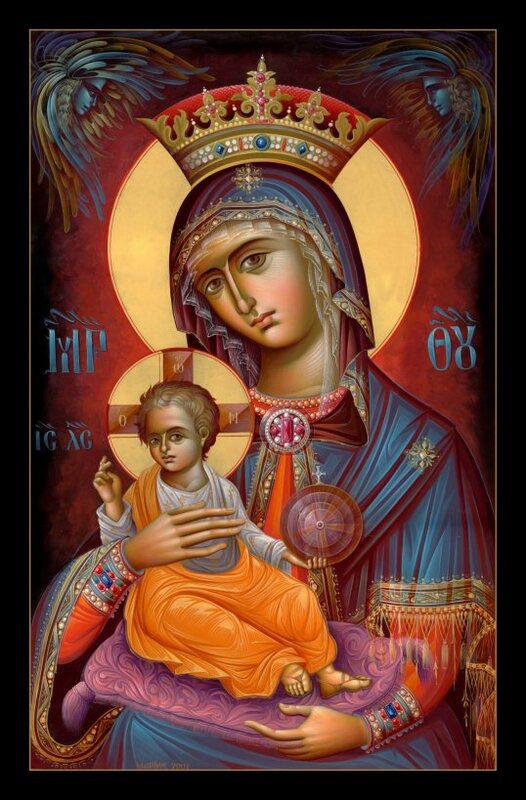 By reason of her surpassing purity [she is] the Divine incense of oblation, and oil of the holy grace, and a precious vase bearing in itself the true nard; [yea and] the priestly diadem revealing the good pleasure of God, whom she alone approacheth holy in body and soul. [She is] the door which looks eastward, and by the comings in and goings forth the whole earth is illuminated. 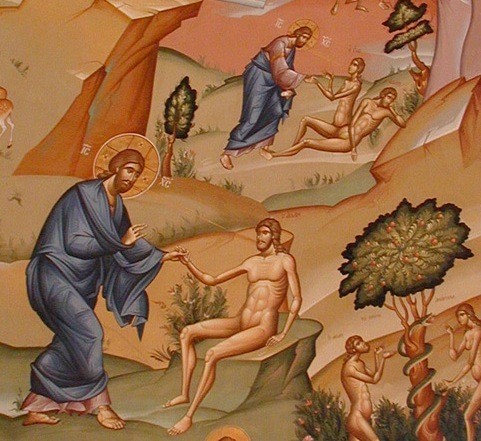 The fertile olive from which the Holy Spirit took the fleshly slip (or twig) of the Lord, and saved the suffering race of men. 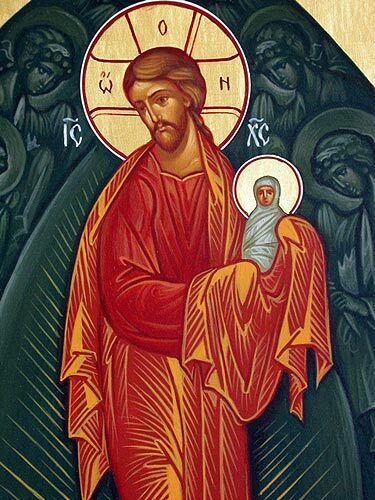 She is the boast of virgins, and the joy of mothers; the declaration of archangels, even as it was spoken: “Be thou glad and rejoice, the Lord with thee”; and again, “from thee”; in order that He may make new once more the dead through sin. Jer. 31:22 For the LORD has created a new thing on the earth: a woman encircles a man.